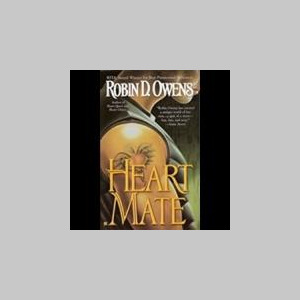 RITA® Award Winning novelist Robin D. Owens credits the telepathic cat with attitude in selling her first futuristic/fantasy romance, HeartMate, published in December 2001. Since then she has written eight books in the series and is contracted for two more. Her Luna Books series includes shape-shifting fairies and average American women Summoned into another dimension world to save a world. The final book, Echoes In The Dark was released January 2009. She is profoundly thankful to be recipient of the 2002 Romance Writers of America RITA Award for HeartMate, the 2003 Denver Area Science Fiction Association Lungfish Award for Writer of the Year, and the 2004 Rocky Mountain Fiction Writers’ Writer of the Year award.